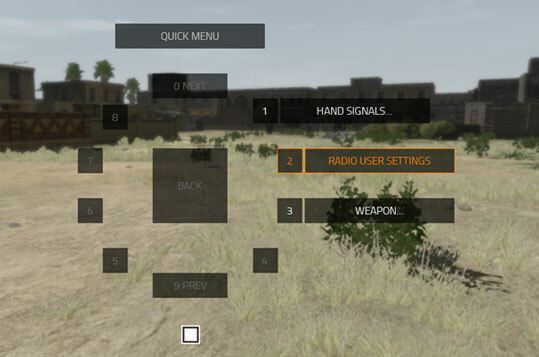 VBS Radio Pro enables radio and direct voice communications between users in VBS3 training exercises with unlimited channels and filterable voice playback for After Action Review. Radio communication is essential for tactical training and for effective battlespace operations. The standard voice and radio communication system included with VBS3 for free features five channels, 3D positional audio, automatic access to vehicle intercom systems and squad radio nets, and an audio tone to signal when a transmission begins and ends. Direct speech capabilities enable simulation of face-to-face communication between users in close proximity in a scenario. 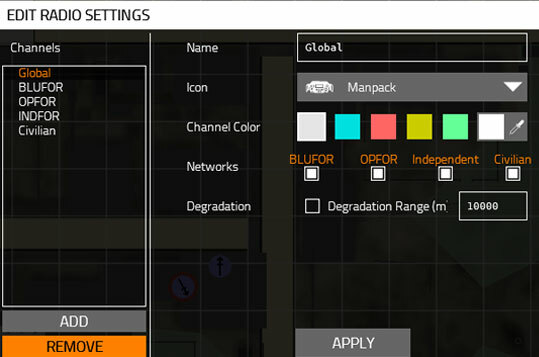 VBS Radio Pro extends the standard capabilities included with VBS3, offering unlimited channels, text chat channels, and greater configuration capability of radio network presets, so users can customize channel names, colors, icons, and save and load radio networks per mission. VBS Radio Pro also provides a user interface for configuring options such as DIS radio mapping, multicast, and encoding. 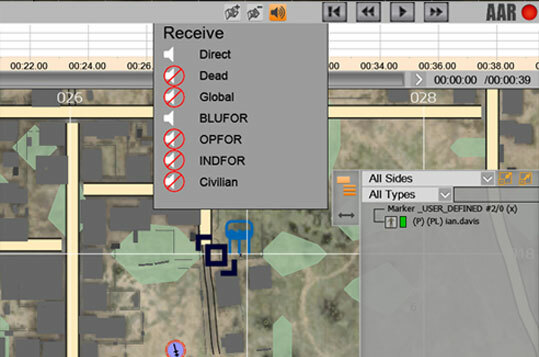 Built from the ground up by BISim, VBS Radio Pro offers seamless integration with VBS3 including After Action Review. VBS Radio automatically records and replays audio events in the VBS3 After Action Review. It also supports Distributed Interactive Simulation (DIS) protocols, enabling interoperability with other simulation systems. Communication breakdowns happen, so it pays to prepare for the worst. VBS Radio Pro offers advanced features like degradation to simulate how radio signals perform based on distance and influenced by weather.